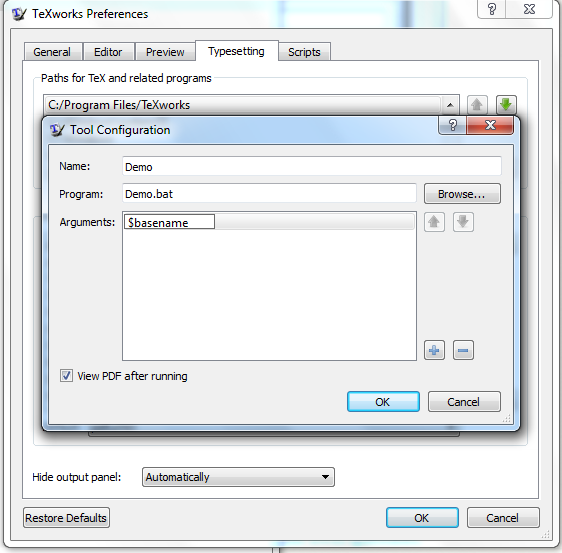 How do I reference the main .tex file when writing user-defined commands in TeXworks? In the latex editor LEd, I've successfully created user-defined commands using .bat files. There, however "%2" is supposed to reference the main latex file. I've tried that in TeXworks but to no avail. I get the same result as using "%1". I'm using MiKTeX 2.9 and Windows 7.
where I'd need one line in the 'Arguments' box for each one the batch file needs (%1, %2, and so on). Not the answer you're looking for? Browse other questions tagged texworks or ask your own question. How can I put .aux files in separate folder using a command inside TexWorks? 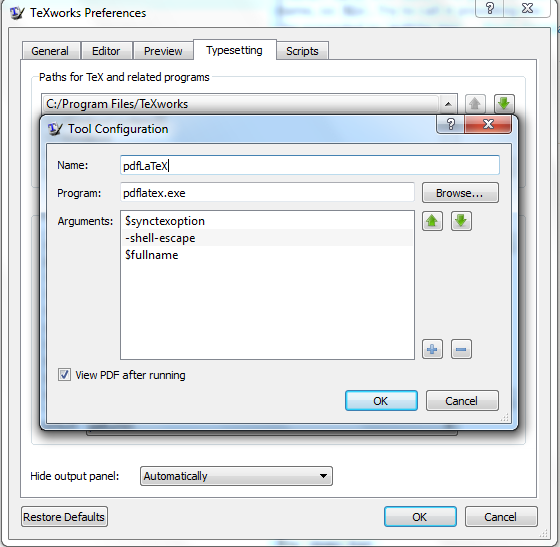 What's the difference between executing pdflatex in cmd, and in Texworks?